Your truck has run out of gas. It is raining and cold. You have no matches, but these items are all in the truck. Which is the quickest fire starting option? C) High-carbon steel hatchet and a file. Mom didn’t do so hot. She was somewhere around 50%. Dad was disgusted with her score. Some of her answers were doozies. I told her if I was stranded and I could only take one person, I’m afraid she wouldn't be that person. She'd be what some people call A BURDEN. Dad agreed with “No kidding!” However, Dad then switched and decided to take her instead of me. I argued I was the only one in the family with a 72 hour kit, but he still stuck with Mom. Mom got sentimental until he reasoned, “I’d better take Mom, her prayers get answered.” Hmmm. Good point. So, if the three of us ever get in a winter survival situation and only two of the three make it… one of the two will definitely be Mom. Your mom shared your blog address, I hope you don't mind.... I loved this post... I can just see your dad sitting there questioning you and your mom & poor Janey Payne trying to justify her answers. I have been gone for a few days so I didn't get to write this as soon as I wanted. AND, for the life of me I can't figure out how to post to your blog. I'm very computer illiterate. So saying, the good news is that I have put your blog on my favorites and will have no trouble finding it in the future. Your blog is just the FUNNEST blog I've ever read (no offence Jane...). That was the most entertaining twenty minutes I've had in a looong, long time. You make me laugh. I loved the part about Mormon Mecca and one pillar down. The only problem I see with this blog is the sporadic posting and space between posts. I mean let's face it. It was EONS ago that you asked for help with a blog name. If it takes that long between then and now, I'm a little concerned. Please post quickly and regularly. It is so entertaining. P.S. 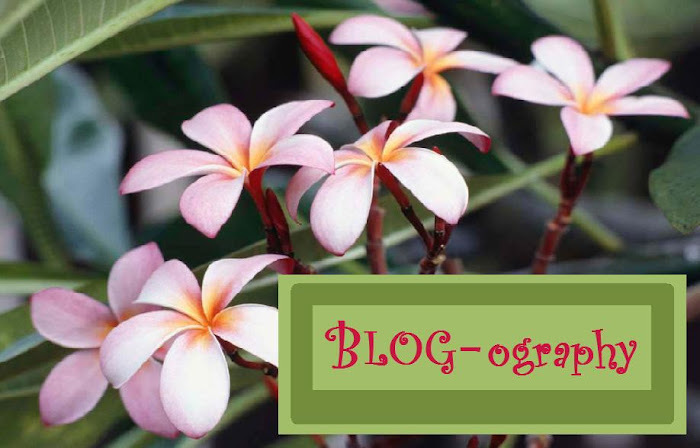 Blogography is by far the best name. Who came up with it? Oh, and who wants to go out with you again? I can't call him up in my head.... Refresh my memory please.